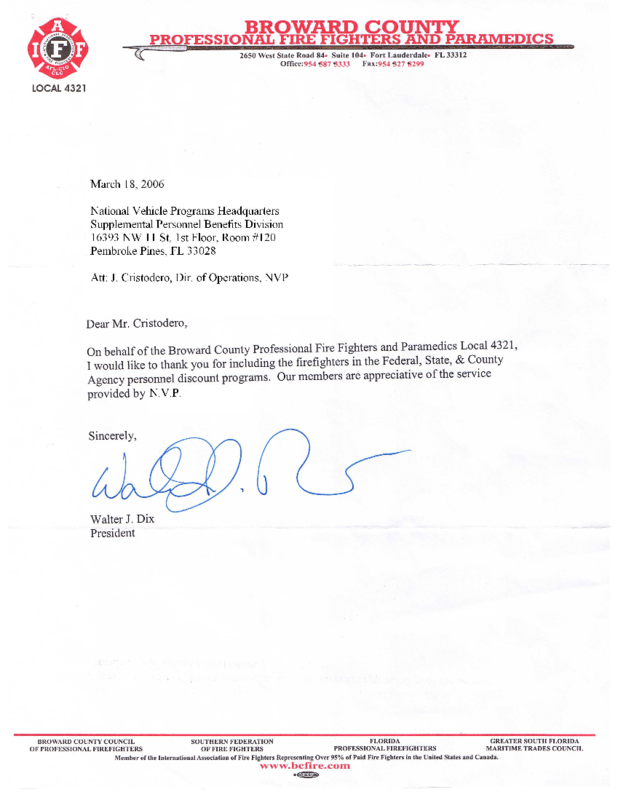 This acceptance letter for the NBP Benefits Programs is from the Broward County, Florida Professional Fire Fighters and Paramedics union. You can click on the image to see the full size version. 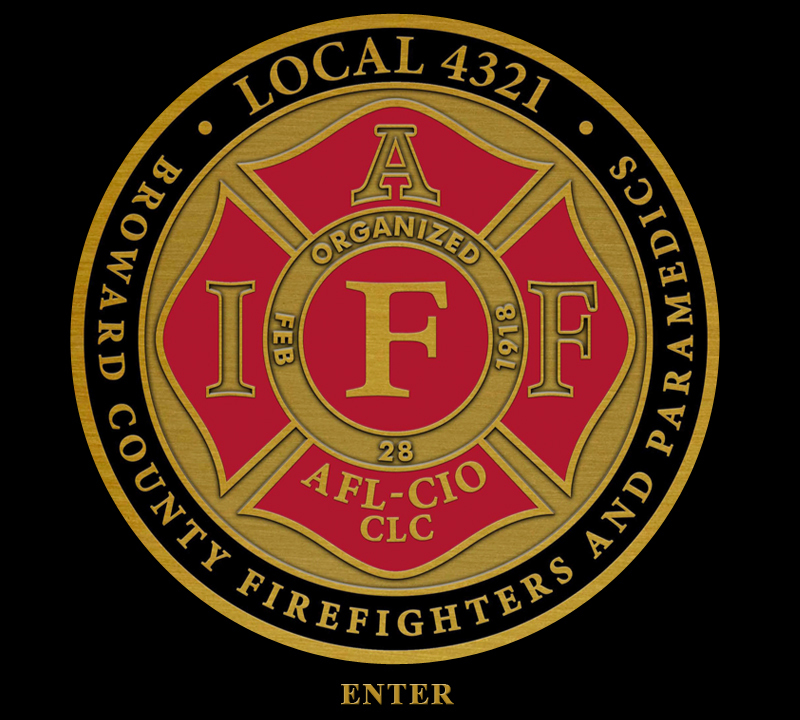 On behalf of the Professional Fire Fighters and Paramedics Local 4321, I would like to thank you for including the firefighters in the Federal, State, & County Agency Personnel discount programs. Our members are appreciative of the service provided by NBP.